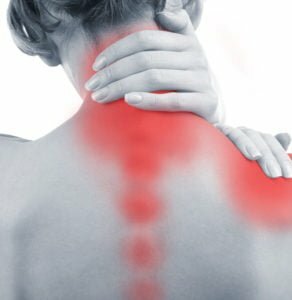 Many chronic pain sufferers do not receive adequate relief from conventional treatments or common alternative therapies. Often the reason for continued suffering is that chronic pain produces changes in the nervous system that amplify signals from the pain­ sensing receptors in the body, called nociceptors. The activity levels of nociceptors, as well as the response to these nociceptors in pain­ sensing brain regions, are modulated by a complex interaction of physical, neurological, biochemical, and psychological factors. To effectively manage treatment­ resistant chronic pain, it is necessary to understand the specific and complex ways in which these factors contribute to the experience of pain in an individual client. Langdon Roberts, MA, CMT, Director of The Center, has a unique background in neuroscience, massage therapy, and a variety of holistic approaches, which has helped him to provide lasting relief to hundreds of sufferers of treatment-resistant chronic pain. He has experience working with medical and osteopathic doctors in pain medicine, physical medicine, and rehabilitation. He creates an individual plan for each client, which might include biofeedback, neurofeedback, neuromassage, breath training, yoga, psychotherapy, or lifestyle changes. In severe cases, Langdon helps people learn to manage the pain and live fulfilling lives, despite the serious damage that may have happened to their bodies. In mild or moderate cases, Langdon can often help clients to completely eliminate the pain, along with the various underlying causes.